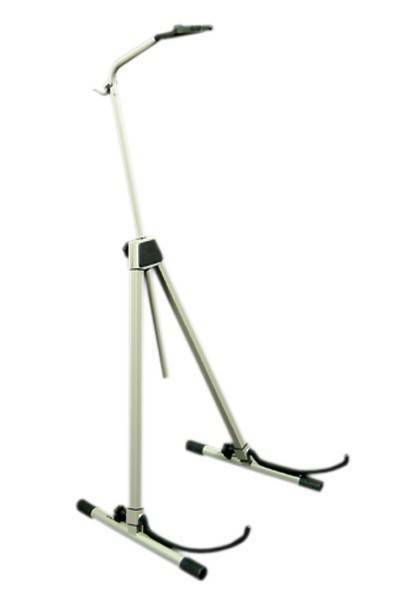 Unique, adjustable stand from Ingles can be used for any size cello up to any bass. Highly adjustable, may be used with the endpin extended, security clasp to protect instrument. Includes bow holder, folds easily for transport or storage. All metal construction. Adjustable bottom cradle. All contact surfaces are covered with a protective, foam type of material.